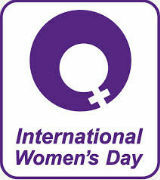 International Women's Day (IWD), originally called International Working Women's Day, is marked on March 8 every year. In different regions the focus of the celebrations ranges from general celebration of respect, appreciation and love towards women to a celebration for women's economic, political and social achievements. Started as a Socialist political event, the holiday blended in the culture of many countries, primarily Eastern Europe, Russia, and the former Soviet bloc. In some regions, the day lost its political flavor, and became simply an occasion for men to express their love for women in a way somewhat similar to a mixture of Mother's Day and Valentine's Day. In other regions, however, the political and human rights theme designated by the United Nations runs strong, and political and social awareness of the struggles of women worldwide are brought out and examined in a hopeful manner.